Throughout the world, images of the cross adorn the walls and steeples of churches. For some Christians, the cross is part of their daily attire worn around their necks. Sometimes the cross even adorns the body of a Christian in permanent ink. In Egypt, among other countries, for example, Christians wear a tattoo of the cross on their wrists. And for some Christians, each year during the beginning of Lent, they receive the cross on their foreheads in ash. Jesus and the cross: Jesus’s crucifixion is displayed on the fifth-century C.E. wooden doors of the Basilica of Santa Sabina in Rome. Photo: Jim Forest. So how, then, did the cross become the preeminent symbol of Christianity? The word “cross” was offensive to Romans. One Roman insulted another by using it on a graffito discovered in the Stabian baths of Pompeii: “May you be nailed to the cross!” Classical texts similarly use the term “cross” in curses. The Roman writer Plautus, for instance, uses the phrase “go to an evil cross” as slang for “go to hell” (e.g., Pseudolus 331).4 In fact, even the Latin word for cross (crux) sounded harsh to the ears, according to St. Augustine (De Dialectica 10.10). In 70 B.C.E., Cicero accused a former governor of Sicily named Gaius Verres of crucifying a Roman citizen. According to Verres, the Roman citizen named P. Gavius was guilty of espionage. Cicero reports that while Gavius was flogged in the marketplace, the only sounds from his lips were the words, “I am a Roman citizen.” Despite his claim of Roman citizenship, a cross was prepared for him. “Yes, a cross,” says Cicero, was prepared for this “broken sufferer, who had never seen such an accursed thing till then” (Against Verres 2.5.162).5 Worst of all, Verres ordered for Gavius to be crucified on the shore facing the Italian mainland since he claimed Roman citizenship. This incident recorded in Cicero’s speech against Verres reveals that, at least for Roman elites, crucifixion was extremely rare to witness or suffer. Unlike the Roman elites, slaves and members of the lower class were unfortunately very familiar with the cross. In a play by Plautus, a slave comments that his death on the cross is inevitable: “I know that the cross will be my tomb; there my ancestors have been laid to rest, my father, grandfather, great-grandfather, great-great-grandfather” (The Braggart Soldier 372–373). Slaves, in fact, could be crucified for even the smallest mistakes. The Romans primarily reserved crucifixion for criminals and rebellious foreigners. The first-century Jewish historian Josephus records numerous instances when the Romans crucified fractious Jews in Palestine (e.g., Wars of the Jews 2.75). Of course, when the Romans crucified rebels and criminals, the cross was more than a penalty; it was also a deterrent. For instance, the Romans crucified Spartacus and his rebellious slaves on the Appian Way for everyone to see from Capua to Rome (Appian, The Civil Wars 1.120). A long row of crosses with rebellious slaves fastened to them must have discouraged other slaves from similarly revolting against their masters. As the most extreme penalty in the Roman world, a person could suffer crucifixion in several ways. Seneca recalls seeing victims with their head down to the ground, others who had their private parts impaled, and still others with outstretched arms (De Consolatione ad Marciam 6.20.3). When not impaled, the condemned person usually carried the horizontal beam called the patibulum to the place of execution outside the city walls. Either a soldier or public executor fastened the condemned person who was naked or wearing a loincloth to the cross with ropes or nails. Material evidence suggests that a person’s feet were nailed separately on each side of the vertical beam of the cross. 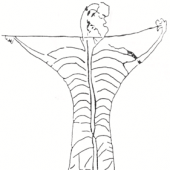 A crucifixion image discovered in Puteoli, Italy, for instance, shows a man, who had been severely flogged, with outstretched arms and feet nailed separately to the vertical beam. The crucifixion image from Puteoli, Italy. The crucified ankle bone of a man named Yehohanan found at Givat ha-Mivtar is the only archaeological evidence yet found of the Roman practice of crucifixion. Photo: Israel Museum/P. Lanyi. To die on the cross was not only humiliating, but a slow and agonizing experience—sometimes lasting days. St. Augustine suggests that the purpose of crucifixion was to inflict as much pain as possible while prolonging death (Tractate 36.4 [John 8:15–18]). Of course, in order to maximize the amount of pain inflicted on an individual, the Romans typically tortured the victim before fastening them to the cross. 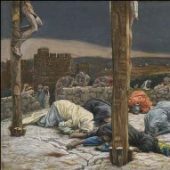 While medical theories traditionally assert that people died on the cross from asphyxia (respiratory failure), recent studies contend that the victims most likely died because of a variety of physiological factors.8 Regardless of the actual cause of death, crucifixion was a slow and excruciatingly painful death. Each of the Synoptic Gospels recounts that at the moment of Jesus’s deepest agony as he hung on the cross, the soldiers and people in the crowd mocked him, saying, “Save yourself, and come down from the cross!” (Mark 15:30; Matthew 27:40–44; Luke 23:37–39). This sarcastic insult may certainly reflect the attitude of Jewish and Greco-Roman audiences when they first heard Paul and other early Christians preach in the first century. Simply put, their message about a crucified messiah and son of God who did not have the power to save himself from the cross seemed offensive to the Jews and foolish to Greeks and Romans (1 Corinthians 1:23). Although the very word “cross” was so repulsive that Cicero and other Roman elites wanted nothing to do with it, each of the Gospel writers recounts Jesus’s crucifixion with astonishing detail. Jesus’s death on the cross, according to Mark, is not only necessary but an example of the service required for true discipleship (8:34–38). Similarly, Jesus’s death on the cross is not portrayed as being shameful or humiliating in John’s Gospel; there Jesus’s crucifixion is envisioned as a saving event foreshadowed by Moses when he lifted up the serpent in the wilderness (John 3:14). Despite its negative connotation to Jews, Greeks, and Romans, Paul repeatedly uses the word “cross” in his letters when responding to the conflicts created by his opponents (e.g., Galatians 2:18–20). Interestingly, Paul may have deliberately focused on the modality of Jesus’s death on the cross for at least two reasons. First, Paul most likely knew that, although his message about the cross was not going to easily appeal to his Jewish and Greco-Roman audiences, still it would certainly attract their attention. And second, the Jewish and Gentile criticism of Jesus’s crucifixion may have encouraged Paul to focus even more of his attention on this gruesome subject since he believed Jesus demonstrated his selflessness, humility, and abundant love for humanity by suffering on the cross. Greek and Roman elites continued to criticize Christians because of their veneration of the crucified Jesus in the second century. Perhaps the most explicit criticism came from the second-century Greek philosopher Celsus, who called the manner in which Jesus died “the most humiliating of circumstances” (On the True Doctrine 3). It was common knowledge in the second and third centuries—even among the poorer classes of the Roman Empire—that the founder of the Christian movement suffered the most shameful death as suggested by the well-known Palatine graffito discovered in the imperial training school for slaves in Rome in 1857. This graffito depicts a donkey’s hands nailed to the horizontal beam of a cross. A person beneath the cross, who is dressed like a slave in a short-sleeved shirt that extends from the shoulder to a little below the waist, gazes upward at the crucified victim in adoration as suggested by the inscription: “Alexamenos, worships god.” Most likely, although it is not certain, the context of this graffito is one slave mocking another for worshiping the crucified Jesus. 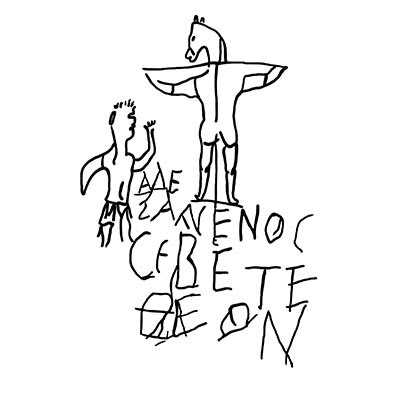 The inspiration for this satirical image of Jesus’s crucifixion may trace back to the Greek and Latin authors who accused Christians, like the Jews, of worshiping a donkey.10 In any case, the graffito indicates that even the poorer social classes criticized the Christian belief in the crucified Jesus with sarcastic enjoyment. Although the image of Jesus on the cross was not very popular in the second and third centuries, still scholars have identified at least a few instances in which Christians depicted it. Perhaps the earliest portrayal of the cross by Christians occurred in the iconography of their papyrus manuscripts, specifically the Staurogram, or shape of the cross made by the overlapping of the Greek letters “Rho” and “Tau” ( ).11 A more obvious depiction of the cross is seen in a third-century gem in the British Museum, which depicts a crucified Jesus with an inscription that lists various Egyptian magical words. Furthermore, some Christians continued to mark their forehead with the image of the cross in the second and third centuries as an identity marker (e.g., Revelation 7:2–3; cf. Tertullian, On Crowns 3).12 Moreover, some scholars argue that the depiction of figures with outstretched arms in early Christian artwork may be the archetype representation of Jesus on the cross.13 Such a theory is supported by second- and third-century Christian texts, which mention Christians (especially martyrs) making the sign of the cross by stretching out their arms (e.g., Odes of Solomon 27; Acts of Paul and Thecla 22). This third-century C.E. gem in the British Museum depicts Jesus’s crucifixion with an inscription that lists various Egyptian magical words. Photo: British Museum/CC BY-NC-SA 4.0. During the second and third centuries, Christians were aware that the cross was still what Paul calls a “stumbling block for the Jews and foolishness for Greeks and Romans” (1 Corinthians 1:23), and most Christians were reluctant to depict it. Nevertheless, the rhetoric of the Christian apologists, such as Justin the Martyr and Tertullian, may have encouraged at least some Christians to illustrate the cross in their art and iconography. Thus, by the end of the third century, what had once been universally a repulsive image in the ancient Mediterranean world was well on its way to becoming the preeminent symbol of Christianity. In his history of the Christian Church written in the fourth century, Eusebius of Caesarea recounts that the gesture of outstretched hands used by Christian martyrs in the arena represented Jesus’s crucifixion (History of the Church 8.7.4). If Eusebius’s account is historically accurate, then the gesture of outstretched arms was widely recognized by Christians and non-Christians alike. Undoubtedly, though, Constantine’s adoption of the cross was the most important development that resulted in its becoming the preeminent symbol of Christianity. According to Eusebius, the day before the Battle of Melvian Bridge, Constantine earnestly prayed for victory against his co-emperor Maxentius. Constantine’s prayer was answered, and a most marvelous sign appeared to him from heaven. Eusebius relates that Constantine saw a cross of light in the sky, above the sun, bearing the inscription, “Conquer by this” (Life of Constantine 28). That night, Eusebius reports, Jesus explained to Constantine the meaning of the vision. Constantine was directed by Jesus to create a new banner with the symbol of the cross created by the Greek letters “Chi” and “Rho.” This well-known symbol in Christianity, which is usually referred to as the Chi-Rho ( ), became known as the standard of the cross. According to the fifth-century Christian historian Sozomen, Constantine abolished crucifixion in special reverence for the power and victory he received because of the symbol of the cross (History of the Church 1.8). This abolishment certainly changed the Roman perception of the cross. Simply put, Constantine’s public endorsement of the cross changed its connotation from a repulsive device for executing slaves, foreigners, and Roman citizens of low social standing into a revered, public symbol. Constantine did not create the symbol of the cross. Rather he adopted it as a new symbol for his empire that had converted to Christianity. Of course, this means that when the artisans depicted the crucified Jesus on the wooden doors of Santa Sabina in the fifth century, the cross was no longer an offensive image. Rather the image of the cross had already transformed from an execution device to a symbol of Christianity. And soon the image of the crucifix would adorn the walls and steeples of churches throughout the world, making the cross the preeminent symbol of Christianity. Steven Shisley, who has a Ph.D. from Claremont Graduate University, is currently teaching at California Lutheran and as an online instructor at Brigham Young University, Idaho. His research focuses on early Christian worship, architecture, and art. 1. For an overview of the literature and history of crucifixion, see the excellent study by John Granger Cook, Crucifixion in the Mediterranean World (Tübingen: Mohr Siebeck, 2014); also the classical study by Martin Hengel, Crucifixion (Philadelphia: Fortress Press, 1977). 2. See Allyson Everingham Sheckler and Mary Joan Winn Leith, “The Crucifixion Conundrum and the Santa Sabina Doors,” Harvard Theological Review 103.1 (2010), p. 67. 3. See George Willard Benson, The Cross: Its History and Symbolism. An Account of the Symbol More Universal in Its Use and More Important in Its Significance Than Any Other in the World (Buffalo: George Willard Benson, 1934), pp. 28–29; for another opinion, see Bruce W. Longenecker, The Cross Before Constantine: The Early Life of a Christian Symbol (Minneapolis: Fortress Press, 2015), p. 11. 5. Unless otherwise noted, this article uses the translations of classical texts in the Loeb Classical Library. 6. The crucified Jewish man was named Yehohanan. For an analysis of his ankle bone that was pierced with a nail, see Joseph Zilas and Eliezer Sekeles, “The Crucified Man from Giv’at Ha-Mivtar: A Reappraisal,” Israel Exploration Journal 35 (1985), pp. 22–27. 7. See Cook, Crucifixion in the Mediterranean World, pp. 423–30 for an overview of the practice of Roman crucifixion. 8. See Matthew W. Maslen and Piers D. Mitchell, “Medical Theories on the Cause of Death in Crucifixion,” Journal of the Royal Society of Medicine 4.99 (April 2006), pp. 187–88; Cook, Crucifixion in the Mediterranean World, pp. 430–435. 9. See Longenecker, The Cross Before Constantine, pp. 61–71. 10. Josephus quotes Mnaseas of Patras (second century B.C.E.) as claiming that the Jews worshiped the head of a golden donkey; see Against Apion 2.9. Also, Plutarch comments that the Jews abstained from eating the flesh of the hare because it resembled the donkey, which they worshiped; see Table Talk 4.3. Since the Romans identified Christians as a branch of Judaism, this mean that they were likewise accused of worshiping a donkey; see Minucius Felix, Octavius 9.28; Tertullian, First Apology 16. 11. 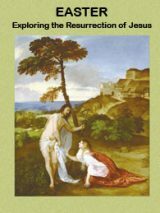 See Larry Hurtado, “The Staurogram: Earliest Depiction of Jesus’s Crucifixion,” Biblical Archaeological Review, March/April 2013. 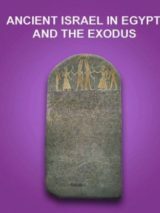 Although it is debatable, some early Christians may have used the cross as a symbol in Pompeii; see Bruce W. Longenecker, The Crosses of Pompeii: Jesus Devotion in a Vesuvian Town (Minneapolis, MN: Fortress Press, 2016). 12. Longenecker, The Cross Before Constantine, pp. 86–93. Young’s Analytical Concordance, the Greek word is stauros. Young’s defines it as simply meaning a “stake.” He does not list “cross” as a meaning of stauros and this is significant because Young’s states he gives only “the literal and primitive meaning… which after all, will be found to form the best and indeed the only safe and solid basis for theological deductions.” (Prefatory Note to the First Edition). Young’s testimony is confirmed by many other competent witnesses. “Literally, the word…referred to a pointed stake used for various purposes, including agonizing execution.” (Baker Encyclopedia of the Bible, p. 555). “Both the noun stauros and the verb stauroo, to fasten to a stake or pole, are originally to be distinguished from the ecclesiastical form of a two-beamed cross.” (Vines Expository Dictionary). “The Greek word…properly signified a stake, an upright pole, a piece of paling, on which anything might be hung, or which might be used in impaling a piece of ground.” (Imperial Bible Dictionary, vol. 1, p.376). “From a Biblical perspective the Greek word stauros denotes an ‘upright stake’…—not a cross—agreeing with the Aramaic [Peshitta text-The Messiah] was put on an upright stake, not ‘cross-ified. '”(Andrew Gabriel Roth, Aramaic English New Testament, app., p. 916, 76). “The Greek word stauros means staff, stake , pole, or beam, corresponding to the Hebrew word nas, which the serpent Nehushtan was lifted up with in the desert (John 3:14, Numbers 21:9; 2 Kings 18:4).” (Lew White, Fossilized Customs, 8th ed., p.114). “The word stauros denotes an upright pale or stake, to which criminals were nailed for execution…The verb stauroo means to drive stakes. Our English word ‘cross’ is the translation of the Latin crux; but the Greek stauros no more means a crux than the word ‘stick’ means a ‘crutch. '” (Dr. Bullinger, The Companion Bible, app. 162). From the foregoing cloud of witnesses it should be clear that the term stauros properly, literally , and originally signifies a “stake.” However, there are some references which also list “cross” as another meaning of stauros. For instance, the Strong’s Exhaustive Concordance and the Thayer’s Greek-English Lexicon. Tellingly though, even these references only list “cross” after “stake.” This is because dictionaries always list primary meanings first. Thus Strong’s and Thayer’s are admitting that “cross” is inferior. BTW, the “RSS feed for comments on this post” link just sends you to a page with html code or something. It doesn’t allow you to subscribe to the conversation about this article. (1) It was not an ankle bone but a heel bone, the calcaneus, that was found impaled with a Roman nail. (I frequently find this error of anatomical imprecision when this artifact is discussed.) Ankles and heels are in close proximity, but refer to different parts of the foot. “Crosses, moreover, we neither worship nor wish for. You, indeed, who consecrate gods of wood, adore wooden crosses perhaps as parts of your gods. For your very standards, as well as your banners; and flags of your camp, what else are they but crosses gilded and adorned? Your victorious trophies not only imitate the appearance of a simple cross, but also that of a man affixed to it. We assuredly see the sign of a cross, naturally, in the ship when it is carried along with swelling sails, when it glides forward with expanded oars; and when the military yoke is lifted up, it is the sign of a cross; and when a man adores G-d with a pure mind, with hands outstretched. Thus the sign of the cross either is sustained by a natural reason, or your own religion is formed with respect to it.” (Taken from Chap. XXIX, The Octavius of Minucius Felix). Also, if the understanding of the passage in 1 John that seems to reference what we now call the Shroud of Turin is correct, the Risen Christ clearly bore evidence of the crucifixion, and this would aid in advancing the acceptance of the cross for the early church. Please remember that crucifixion was Roman penalty (earlier used by Carthaginians) and when Roman Empire conquered whole Mediterranean World this penalty has been famous. In Greek koine we haven’t different words for cross and pale but it NOT means that cross was a stake/pale. We have many exaples in ancient literature: Seneca, Artemidorus Daldianus, Lucian, Epistle of Barnabas where is directly descibed shape of cross. In graffiti we have some examples mentioned in above text. Written that cross is a pale/stake is only dogmatic thesis which haven’t reference in history. Ancient sources state that Spartacus died in battle and was not crucified with the remnants of his men as Dr. Shisley contends in his article’s 6th paragraph. Constantine “the great” was the perpetrator of using the cross as a ‘christian’ symbol among many other false teachings adopted by christendom, e.g. christmas, doctrine of the trinity, etc. Deuteronomy 21:22, 23 and at Galatians 3:13 the word “xyʹlon” is correctly translated tree whereas most other times it is wrongly translated as cross. When one considers the words of Paul, as an example, at 1 Corinthians 10:14 Christians are admonished to flee from idolatry – NOW consider the role of the cross in most “Christian” churches and their adherents – crosses adorn churches and homes, they are bowed down to, kissed, worsipped etc., etc. If Jesus had been put to death with a bow and arrow or a spear, would these instruments of death be worshipped in the same manner??? The chi rho symbol was known even centuries before Constantine! It is seen on coins of of Augustus commemorating JUlius Caesar for instance and even earlier than that. I’d say a significant reason for the reluctance of Christians to depict the cross in the 2nd-3rd centuries was its unequivocally Christian character in an era when Christianity was legally proscribed. During that time, Christians tended to use more ambiguous symbols (such as an anchor or fish). In personal use, however, note that Tertullian’s quote is descriptive, not prescriptive; he’s not introducing something new. I belive that the fish were the originally symbol of the Christians.